Home Airoh SHARP 5 star sportsbike helmet on a budget anyone? 1 Looking to buy this Airoh? 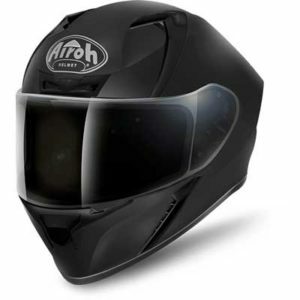 8 Best place to buy this Airoh crash helmet? 13 Good Alternatives to the Airoh Valor? 14 Looking to buy this Airoh? 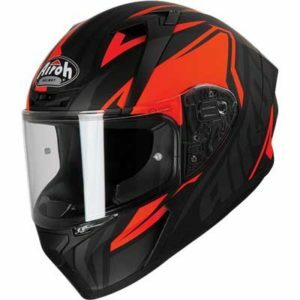 Airoh Valor full face sportsbike crash helmet review. The Valor is a very entry-level sportsbike helmet made by Italian helmet company Airoh. But don’t let the phrase ‘entry level’ put you off, because that just means it’s cheap, making it accessible to all sorts of riders on all sorts of budgets. And it doesn’t necessarily mean not very good because not only does the Valor have lots of features that should make it both a decent road helmet as well as sportsbike helmet, but it’s also been tested by those helmet testing bods at SHARP where it scored maximum marks for safety! Bet that’s got you taking the Valor a bit more seriously now eh? There’s not a vast amount of intel on the Valor out there – but we’ve hunted high and low and here’s what the Airoh Valor offers and what riders and owners think about theirs…. Looking to buy this Airoh? 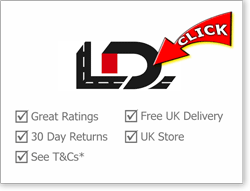 You can find it at a couple of our recommended retailers: that's LD Motorcycles in Watford as well as Motoin (Germany) both with great online ratings for quality service and decent prices. You'll also find it on Amazon UK if you prefer to buy from them. 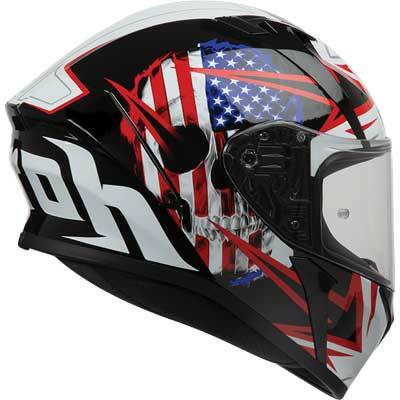 Please click any link to go straight to their Airoh helmets pages. OK, it’s been given a SHARP 5 star safety rating. That’s it. Job done. Next! Yep, it might be a budget helmet, but Airoh has definitely done something very right with the Valor to score maximum marks by SHARP. That means the Airoh Valor is both ECE tested/certified – which is a pretty arduous test to pass in its own right – and has maxed out the SHARP safety test. Meaning that if safety’s your number one priority and you’re on a tight budget, the Airoh Valor has probably shot to the top of your ‘must check out’ list. It might only have a thermoplastic shell, but as we’ve said many times before, thermoplastics can make for very tough helmet shells that work well alongside multi-density EPS liners to absorb energy. And Airoh’s designers have obviously done an excellent job in combining the two in a great, low priced package. The helmet also weighs around 1.45Kg (3.2lbs) which is actually light weight compared to most thermoplastic helmets – and that lighter weight will help with reducing inertial forces during any impact. Which – for the avoidance of doubt – is a very good thing. Making a helmet with a nice large visor aperture can sometimes lower overall helmet safety performance during testing, so for Airoh to make a large visor and score five stars is particularly excellent (though read our notes on this in the visor section). And of course having a wide visor means improved peripheral vision which will help with riding and safety on the road and track too. That visor is also Pinlock ready as well, so if you find you suffer from a fogging visor (which you will if it’s cold or wet and you insist on breathing while wearing your helmet!) then you can shell out a bit more for a Pinlock antifog to keep things clear near enough 100% of the time. In the UK, the helmet’s been awarded an ACU Gold sticker – which is what you need to take a helmet on the track in the UK, so that’s all good. It’s secured to your head with a micrometric fastener – they’re nice and easy to use and are safe as long as you take the time to adjust the strap occasionally to ensure it’s tight when fastened. 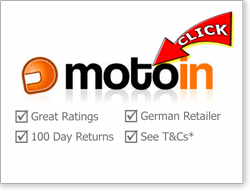 But that headline figure of a SHARP five star rating is going to be most folks’ reason for buying an Aiorh Valor. That and the price tag. And why not? Looking at those two numbers, you probably can’t go far wrong, right? There’s not a mass of info out there about helmet noise on the Airoh Valor. One MCN tester said it was nice and quiet at motorway speeds wearing earplugs. And another tester seemed to find it about average but quieter than their last two helmets. So I guess that means it’s overall a smidge above average for noise suppression. But that’s with the usual large caveat that most noise levels are massively subjective depending on your bike, speed, riding style, weather, what you had for breakfast etc. etc. so your opinion and circumstances (and therefore perception of noise) will probably be different. 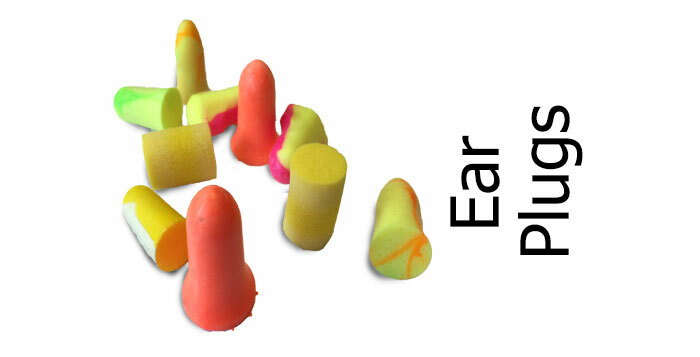 But the bottom line is always stick in some good ear plugs and you’ll probably find the Valor is fine. Airoh makes a big thing about the ventilation of the Valor being ace. And with 8 ventilation holes in the shell, you can see why. In fact two of those vents they mention are exhaust vents on the back and a couple of them are really just one intake on the brow. But still, there’s a decent number of air vents in there. Note, those two scoops on either side of the chin bar are, bizarrely, fake. But there is a single chin vent panel that can be opened/closed plus there’s that dual closeable brow vent and a couple of independently opened crown vents to let air in. Apparently it all works well and though it can take a while to get used to the different panels, switches and sliders used to operate the various vent closing mechanisms – it’s all pretty airy in there. 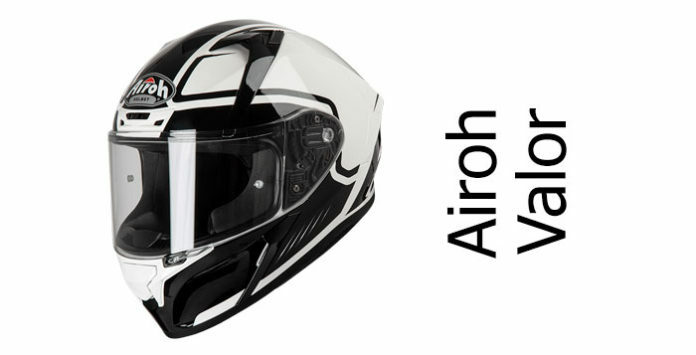 The Visor on the Airoh Valor is nice and wide and designed by Airoh to work in a sportsbike tuck too. Having said that, word is that it’s not a massively tall visor aperture so if you’re head down on the tank on your track bike, your forward view might be limited unless you really crane your neck. So maybe it’s more a sporty riding than out-and-out sportsbike helmet? It’s got a pair of Pinlock posts on the visor, meaning you can buy a Pinlock antifog insert and the visor will accept it (though it’ll be about £30 extra). But they’re highly recommended if you’re riding in cold/wet or even humid places. The visor works on a ratchet, has a ‘cracked open’ or city riding position – which is very handy – and there’s a single opening tab on the left. That’s OK, though maybe a double opening tab would’ve made things even easier. There’s also a visor lock just under the opening tab. Close the visor and it auto-locks but it’s a simple, single operation to push up on the tab to unlock it and open the visor. It’s a quick release visor as well and the system is easy to use, meaning it’s very easy to remove the visor for cleaning or to swap it out for a tinted visor (there isn’t an integral sun visor in the Valor). All in all, the visor system ticks many boxes and doesn’t really lack any thing the discerning sportsbike rider will be looking for. But just note that it’s not as tall as some sportsbike visors. Word is that it’s a comfy helmet – as long as you buy the right size in the first place of course (follow our fitting guide here). There’s a removable and washable lining in there and while it’s not the most fancy helmet lining ever, Airoh does use some comfy materials that are also moisture wicking and hypoallergenic. And because it’s a pretty light helmet (for a thermoplastic shelled helmet) a couple of owners said it feels light weight and nicely balanced when you’re riding. And if you wear glasses, it should be OK because there’s enough padding in there to stop them digging into the side of your head. 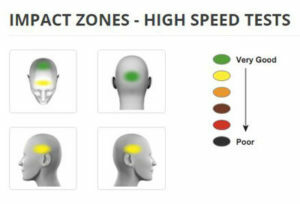 All in all, follow our guide and buy the right helmet size and you should be good to go. Though, as always when buying online, make sure you buy from only stores who’ll accept returns with no quibbles (like all our recommended retailers) and always leave on all the labels and stickers until you’re happy you want to keep the helmet because it’ll get rejected as a return if you don’t. 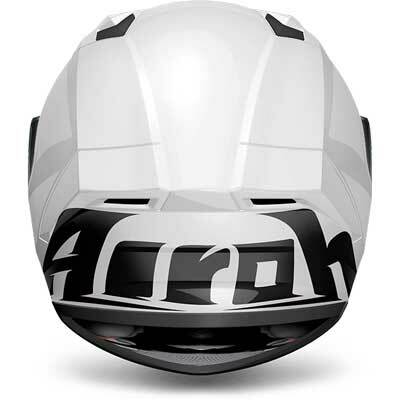 The Airoh Valor is a very modern and slick-looking helmet and mimics the aerodynamic style of many of the latest track helmets. 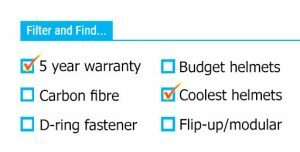 All of which is pretty cool – especially when you consider the level of performance you’re getting and the small cost. There’s a whole range of designs to accompany it too – from the plain blacks and whites all the way up to some very in-your-face graphics and colourways. We’ve included examples of the Impact, Azure, Jackpot, Sam, Rocks and Raptor graphics on these pages but you’ll probably find more on the links below to our recommended partner stores – along with the latest deals. Best place to buy this Airoh crash helmet? 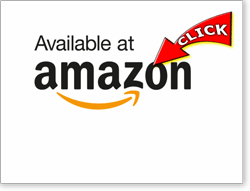 You can find it in both of our recommended stores below - as well as Amazon. Note: if you buy from any, we get a small sum from the sale at no extra cost to you - a massive THANKS! (it's how we finance the site). Click here for more info on our recommended retailers. Click above to drop onto their Airoh helmets pages or *quick view retailer T&Cs here. 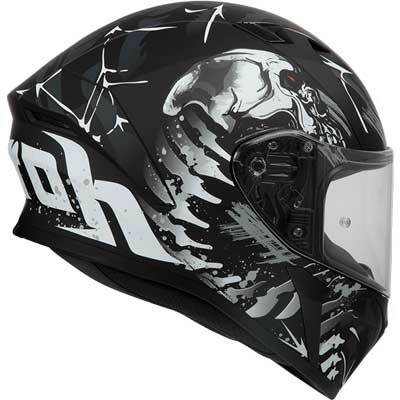 For the price, the Valor is a well put together helmet with decent paint and materials used. It comes with a removable chin curtain (one reviewer said it works the best of any they’ve tried!) and a non-removable breath guard. Finally, all Airoh helmets come with a 2 year warranty from date of purchase. If you’re looking for a safety-proven sportsbike helmet that’s going to leave you change from £200 (or even £100 depending on the version you choose), then there’s not masses of choice – though we suggest some quality options below. Opinions online are thin on the ground, but from the opinions we’ve found, it’s a decent helmet that owners really like, with a quality feel and good comfort that works well on the road. But note – a couple of owners suggested it’s a bit limited in vertical/forward vision, so if you’re gonna be in an extreme sportsbike tuck lots of the time, then it sounds like it might not be the best choice. 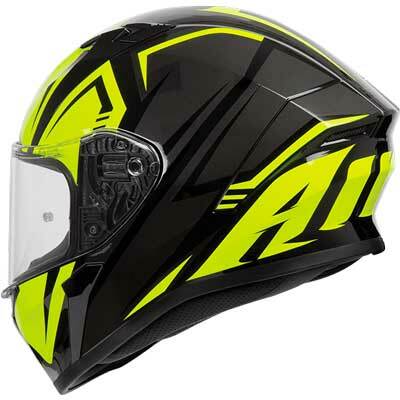 But with its SHARP 5 star rating and ACU sticker, if you’re looking for a track or sportsbike helmet and don’t want to spend the money demanded by the Arais or Shoeis of this world, then the budget Airoh Valor is one heck of an alternative that’ll give you the same levels of protection but for pocket money. It’s well worth a look – and if you buy from an online store who’ll refund you if that limited vertical vision turns out to be a problem (like our recommended retailer does), then you’ve nothing to lose. Good Alternatives to the Airoh Valor? OK, you’ve probably come here to read about the Valor because of its SHARP 5 star rating coupled with the fact it’s cheap and it’s a sportsbike lid. 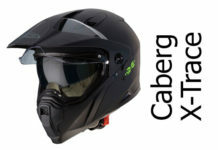 So here’s some recommended alternatives to the Valor that are definitely worth considering if you’re after a lower-priced helmet to work on your sportsbike. 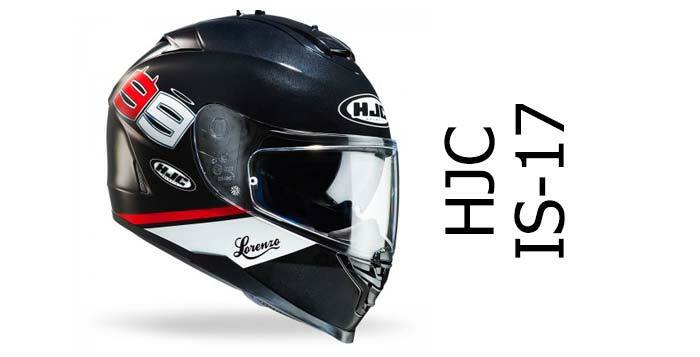 First up, there’s the LS2 Arrow – that’s a SHARP 4 star rated sportsbike helmet that’s available in both fibreglass or carbon versions and is a real bargain. It’s got an optically correct visor, Pinlock in the box, it’s light weight – and it’ll work well on any sportsbike. Or there’s the HJC FG-17. 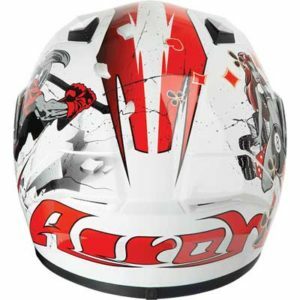 That’s a lower priced sportsbike helmet like the Airoh – it’s a SHARP 4 star fibreglass helmet that’s a solid scorer all round. Or if you can push the boat out a bit further, the Bell Star range are tried and tested 5 star rated track helmets – and the entry level composite fibre Bell Star is a really great sportsbike helmet. What can you say about the Airoh Valor? SHARP 5 star rated (that's a maximum rating btw!). Super low-priced. 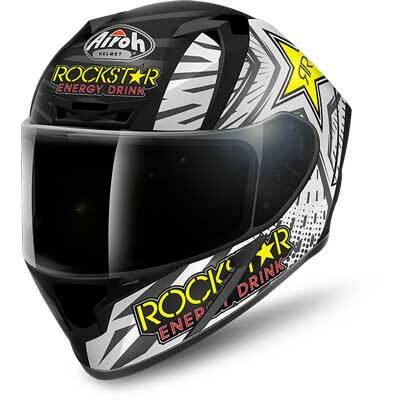 Comfy, great visor system, ACU sticker, designed for sportsbikes. All of which means if you're looking for a safe helmet at a very reasonable price, then - whatever type of riding you're going to be doing - you really should add the Airoh Valor to your shortlist of possible new helmets. 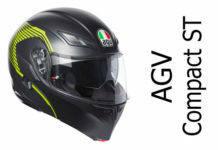 Previous articleOff road, on road and anywhere in between: AGV’s AX-9 adventure helmet. 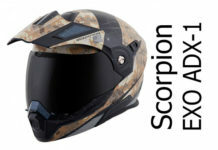 Next articleScorpion’s do everything adventure/road modular helmet: the Scorpion ADX-1.